You are here: Home / Collaboration And Convergence / Engineers may be from Mars instead of Venus … but this is not just another Cinderella story. Personal branding is a way of differentiating yourself from the crowd. If you are waiting for someone to notice you and pick you out from everyone else, don’t count on it. If you are counting on your boss to recognize you for the work you are doing for the Company, you won’t be distinguished by fading into the wallpaper. You must market yourself, your skills and your value in order to be rewarded. And create an enduring brand. Something that isn’t transient based on the latest Internet social networking trend. Something that’s your legacy. And herein lies the problem: because engineering, IT and technical folks are uncomfortable “blowing their own horns.”The Marketing Folks think you are from Mars and they may very well treat you like that, too.So how do you self-promote without feeling cheesy (like you think the Marketing folks are because, well, they are from Venus, right?) Cinderella had the answer. OK, here is the easiest – and most difficult –part of the story. And this is no fairy tale: JUST BE WHO YOU ALREADY ARE. ONLINE. Dan Schawbel’s Me 2.0 puts the personal branding cards on the table: Change is Constant. You are only as good as your last project or last sale. The economy is wrecking havoc on everyone’s nerves. As everyone anxiously awaits second quarter Department of Labor statistics, think about what you need to do to establish your value… even if it’s for your next career move, voluntary or not. The only person who can free Cinderella from the tower is YOU. After all, you are the only person who knows WHO YOU ARE AND WHAT YOU STAND FOR.Year after year, in spite of everything, Cinderella believed in herself. OK, so maybe a fairy godmother DID show up. And that’s where most people stop. Yeah, Cinderella had all this help. She was just sitting there in the cinders and the Fairy Godmother just popped by, waived her magic wand and solved all her problems. Get real. 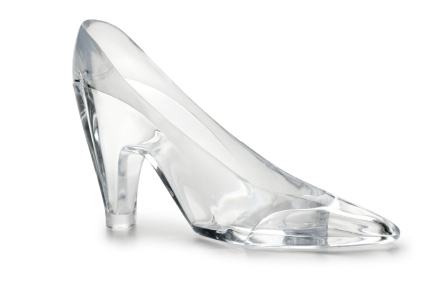 Cinderella could have been skeptical and blown her fairy godmother off. After all, it’s not like the fairy godmother showed up with Cinderella’s future as a pre-packaged get rich quick scheme so that Cinderella didn’t even have to break a nail to achieve it. Cinderella could have told her fairy godmother “I am not worthy” and sabotaged her own future because she didn’t think she was good enough. But good old Cinderella recognized an opportunity. And decided to take it. And she made the most of it. Because of Who She is and What She Stands For. She didn’t have to change a thing about herself in order to be Who She Is. 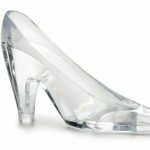 Say the name “Cinderella” and you have a whole mental picture of a person and a value system.I’d say that’s an enduring personal brand. So where do you start? I suggest LinkedIn. It’s a great site for building a resume that’s an aggregate of your personal and professional skill set and values.It becomes the fulcrum for your personal brand. If you have a website or a blog, make sure that the content of each underscores the value that you bring to the table, per your LinkedIn profile. Take your time in developing your personal brand. To do this right, you have to be introspective. Your personal brand involves accountability and responsibility for WHO YOU ARE. So if you haven’t taken the time to do a bit of personal inventory, there’s no better time than now. You may discover how valuable you are. You may discover why you haven’t retained jobs. You may discover a more reasonable and realistic course to take towards professional and personal development. The only person who can free Cinderella from the tower is YOU.